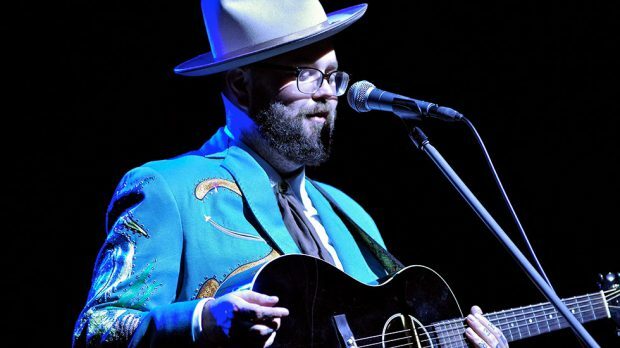 He is referred to affectionately by Justin Townes Earle as a “real country singer”, and Joshua Hedley gave that reputation no harm during his jaw dropping opening set last Friday. The burly singer with the voice like mother’s milk has trimmed down considerably and swapped his signature dungarees for a sparkling nudie suit since his signing to Jack White’s record label Third Man Records. With a debut album due for release next year, Hedley worked through a swag of new songs and a cover or two for good measure. The affable singer who’s stock trade is misty eyed country tunes, offered up a brand new song called I Love You, that Hedley suggested is so sweet it’ll give you diabetes. Mr Jukebox spoke of a life that has seen Hedley grow up in bars to the point where he was making his living by playing for tips at Robert’s Western World on a Monday night. A master storyteller between songs as well as during, Hedley spoke of the inspiration behind the cheating tale What Did You Say To Him Last Night? before paying tribute to the great George Jones during Walk Through This World With Me. Hedley is authentic, talented as they come and too big a talent to be playing first on the bill too much longer. It would be hard to think of an artist that works harder than Bex Chilcott, and her band Ruby Boots are starting to see the fruits of the labour. 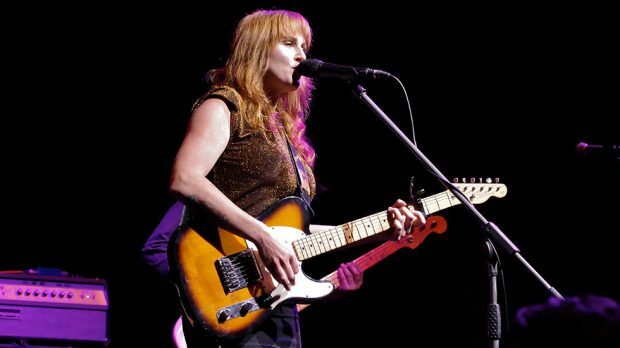 Trading her acoustic guitar for a Telecaster is the first step in adding some extra grunt to the Ruby Boots sound. Hired guns the Dux brothers also provide some extra muscle that appears to be the stock in trade of the forthcoming album. Chilcott played it straighter with her vocals, losing some of the affect and twang from her debut record. There is a hint of garage rock added in to the Americana tropes of the rebooted Ruby Boots. Latest single It’s So Cruel is a fuzzed out rocker that points to an outfit who have embraced their new found versatility. Crowd favourite Wrap Me In A Fever was given a breakneck airing to end a classy re-entry for Ruby Boots. 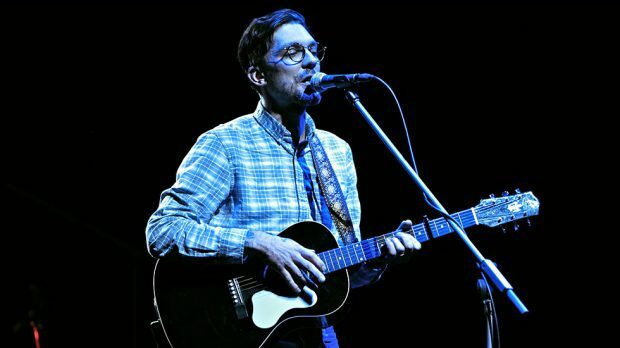 Fast becoming everybody’s favourite hillbilly musician, Justin Townes Earle again played a set filled with charm and charisma. Farewelling his band after their east coast duties, Earle was joined on stage by long time collaborator Paul Neihouse as they delivered some Memphis inspired roots rock. The lanky man from the land of the Cadillac put his own spin on the ‘cars and girls’ message with his ode the the Japanese compact vehicle Champagne Corrolla, before tipping his hat to his misspent youth for Maybe A Moment. Neihaus added splashes of colour with his guitar licks, but was a little too high in the mix until he moved to pedal steel for the hillbilly What’s She Crying For. The beanpole singer settled in for a lengthy set in his well worn jeans and comfortable shoes. Finding the opportunity to give Neihaus a break, Earle continued to champion the storytelling tradition of roots music with his own slant on the tale of John Henry, before playing a snail paced version of Mama’s Eyes that couldn’t even be derailed by a false lyric or two. 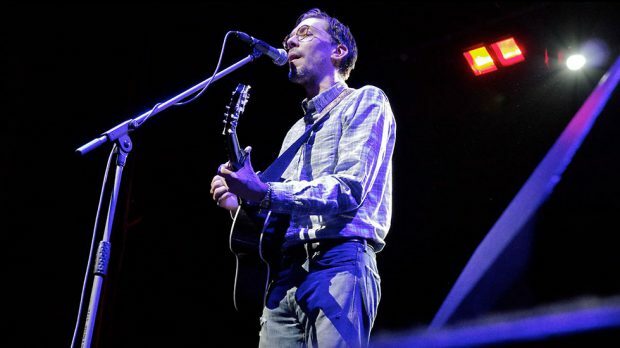 As the crowd warmed, they heartily offered suggestions to Earle who batted them away with a quick retort as he introduced the majority of his songs with a lighthearted tale. Earle is not one to shy away from politics, but it was tales of the (troubled) heart that were the theme of the evening. The most serious note came as Earle spoke of the perils of drug use and the notion that we ask people the wrong questions instead of offering to heal their pain. It placed a heavy load on his tribute to Billie Holiday in White Gardenias. The evening would not have been complete without some honky-tonk and Earle obliged with What Do You Do When You’re Lonesome. 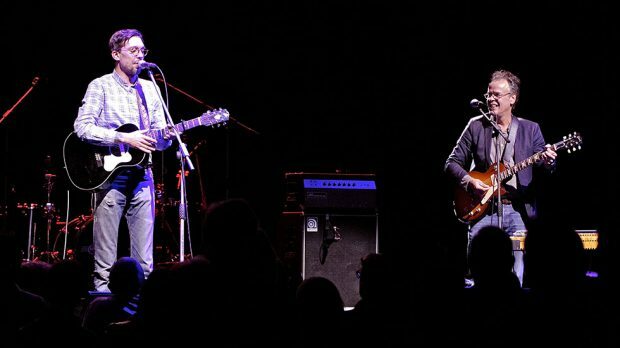 Earle returned to the stage for as emphatic a version as can be compiled by a duo, as Harlem River Blues ended a night of considerable quality on a high note.